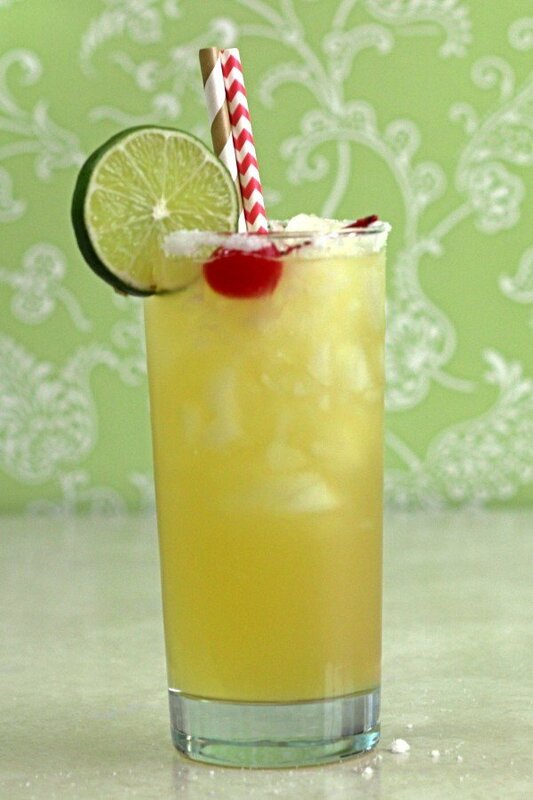 The Ambience cocktail is a drink recipe that balances the flavor of orange with a strong lime component, and a less obvious note of depth from cognac. While it has five ounces of fruit juice in it, it also has a fairly strong alcohol content. Because of the juice, Ambience is one of those cocktails you can enjoy almost any time of the day – even breakfast. You will definitely feel the effects from this drink – make no mistake about that. But it’s less concentrated, so it hits you a little more slowly. It’s great to enjoy with a meal, but also lovely to sip on its own. Rim a collins glass by dipping it in lime juice followed by confectioner’s sugar. Fill it with cracked ice. Shake all your ingredients together in a shaker, and strain the mixture into the collins glass. 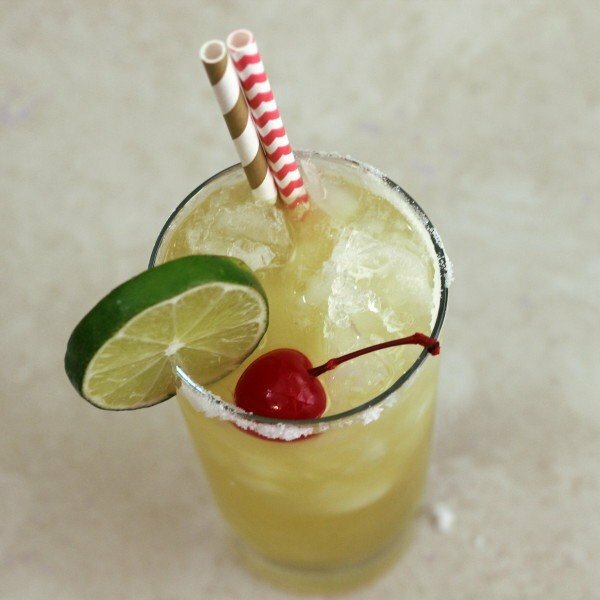 Garnish with a lime wheel, cherry and two straws.